June's Bostik Blogger craft box had a really obvious theme. As soon as we opened the box Little N said, "oh look mummy, it's a jungle!" 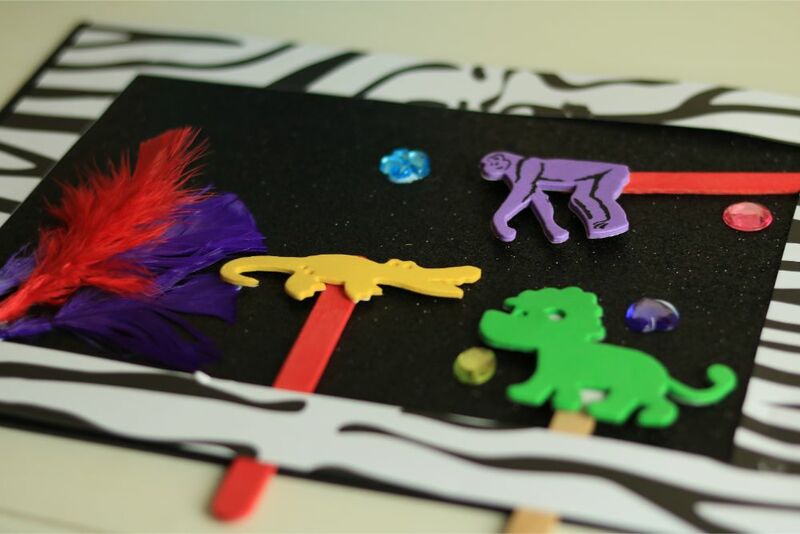 I took one look at the contents and knew exactly what we were going to create: a jungle theme lollipop stick puppet show. A great craft idea for all these rainy days we've been having so far this month! If you want to see last month's weather themed craft idea you can find it here. 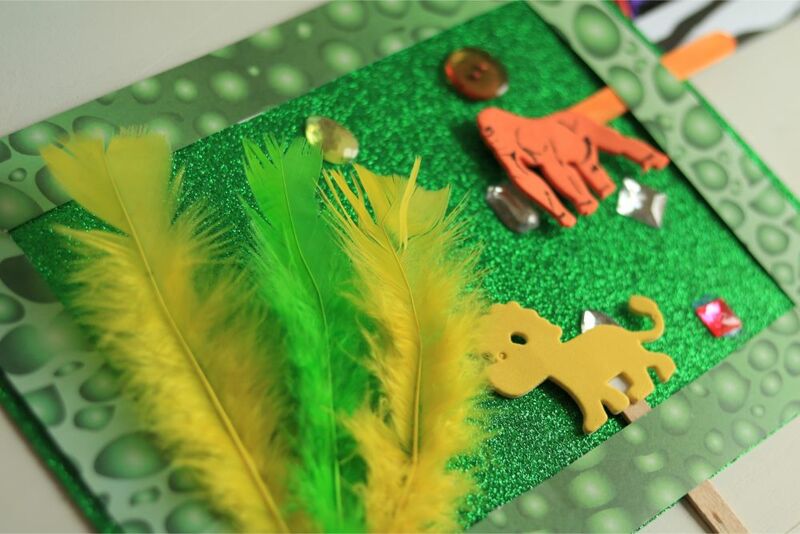 Little N loves animals, colours and counting so this craft is the ideal way to incorporate some learning in those areas. 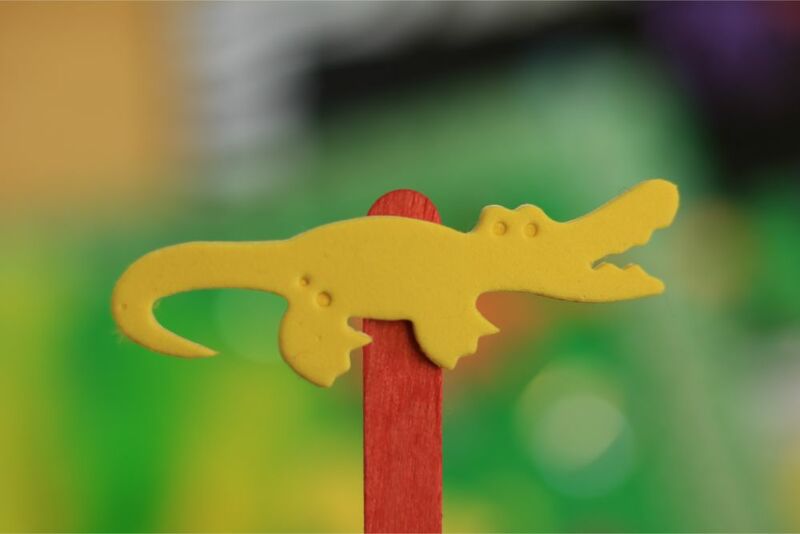 The lollipop stick puppets can be slotted into the background along any of the sides, which are open thanks to only being stuck down at the corners. 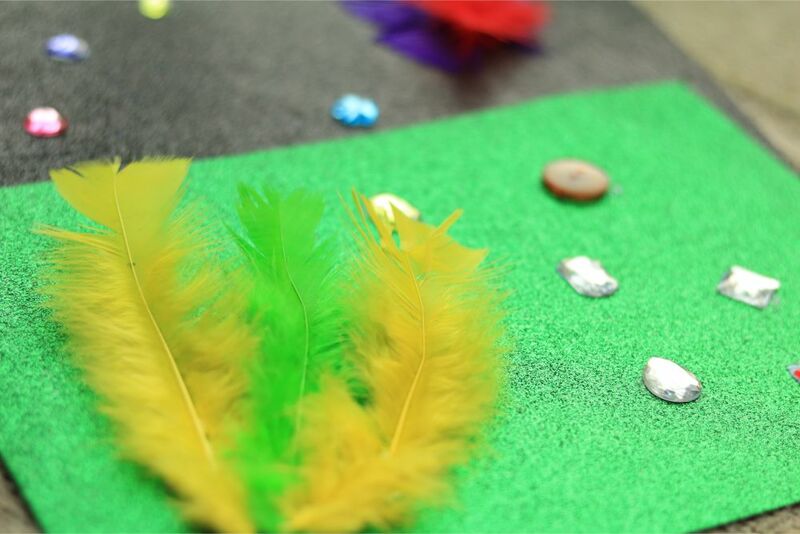 - Using the Bostik White Glu stick feathers, buttons and gems to the card to create an interesting background. You could draws some trees if you like. As my boys are only little, sticking things was easier for them. 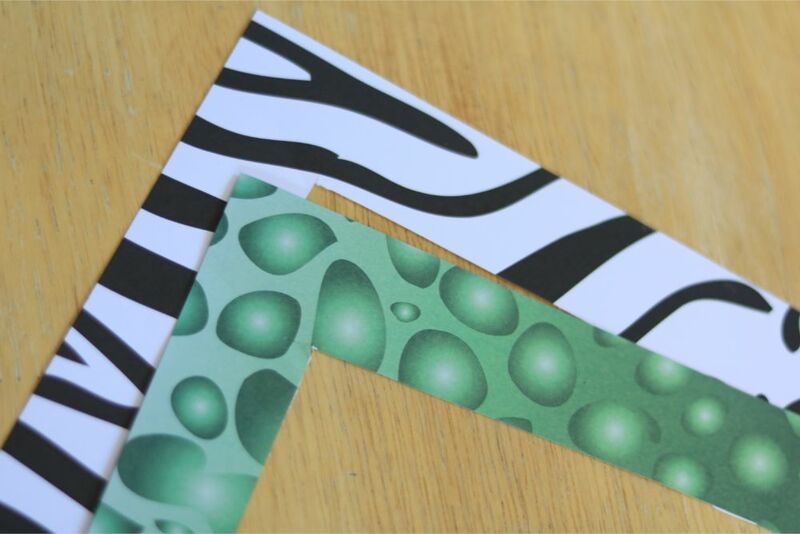 - Cut a rectangle out of the middle of the animal patterned paper, leaving a 1 inch border all the way around. 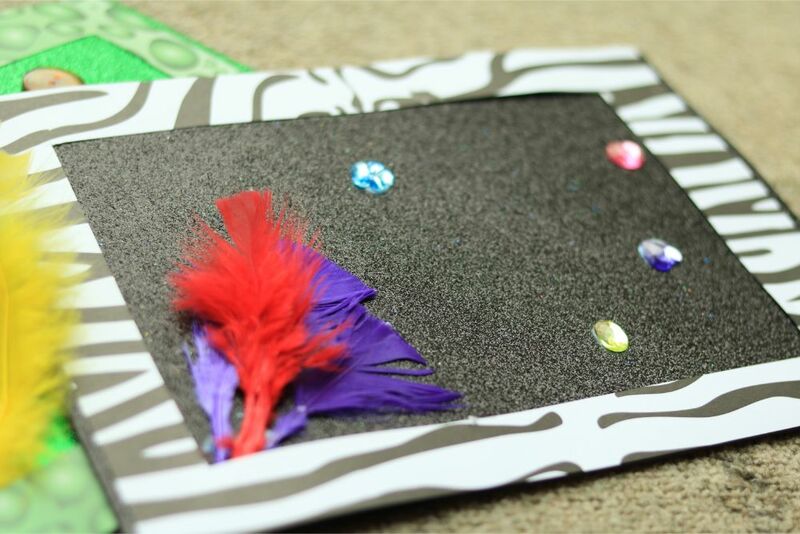 - Apply a Bostik Glu Dot to each corner of the paper and secure it to the decorated card. 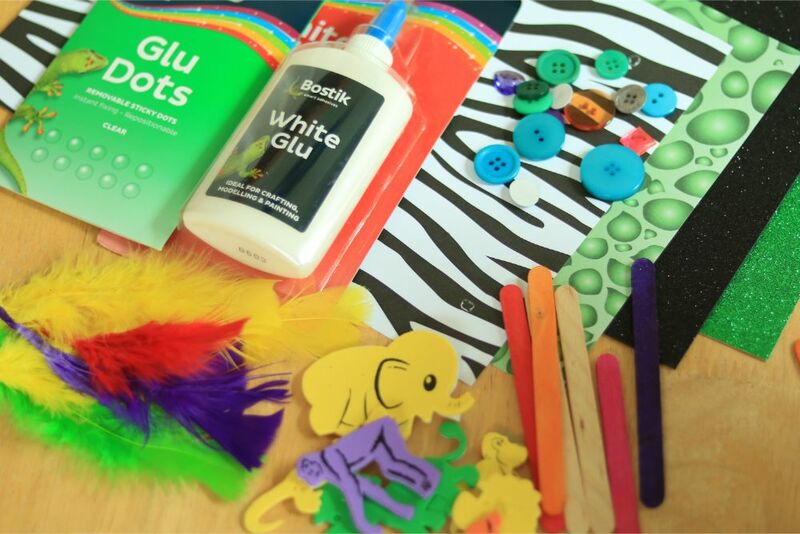 - Using more Bostik Glu Dots stick a foam animal shape to each lollipop stick. - You are now ready to play! 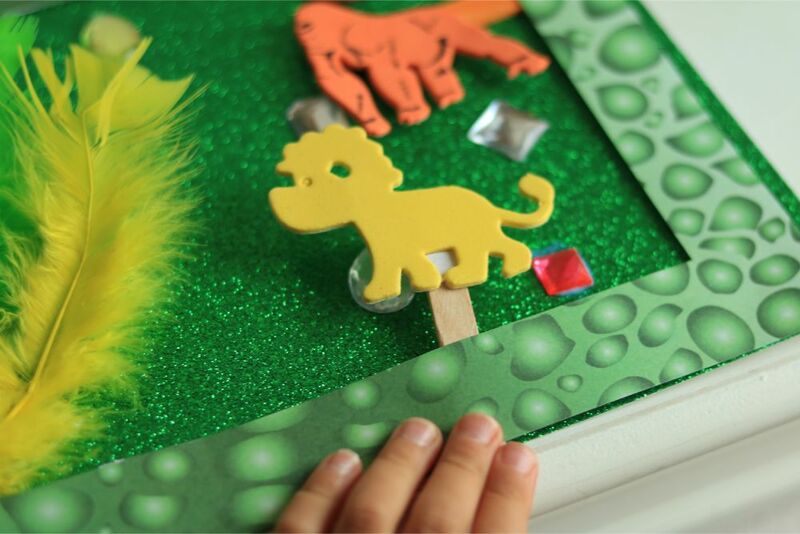 Slide the lollipop stick puppets into the side of the frame and move them about to create your little ones very own jungle adventure!